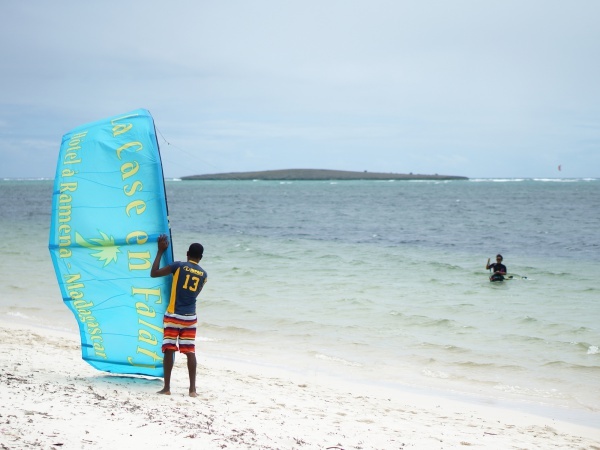 La Case en Falafy Kitesurf is a kitesurfing school run by a team of Malagasy kitesurfers at the hotel and restaurant La Case en Falafy in the village of Ramena, 18km from Diego Suarez. 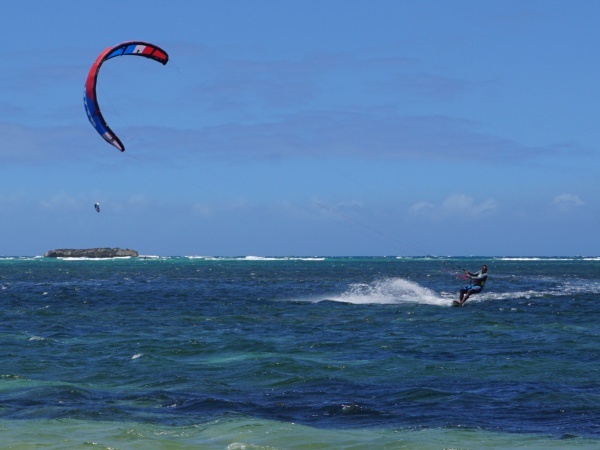 The location is an ideal starting point for excursions to Emerald Sea and Sakalava Bay, both of which are considered to be amongst the best kitesurfing spots in Madagascar. La Case en Falafy Kitesurf school started in 2015 by Lala, the owner of La Case en Falafy in Ramena. 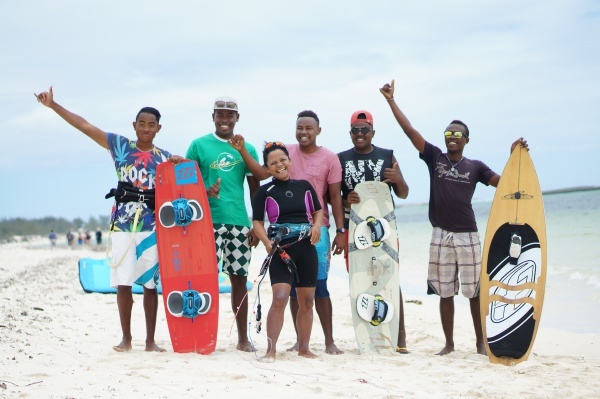 Lala herself began kitesurfing in 2013 and is the only professional female Malagasy kitesurfer in the country. Shortly after launching, Lala recruited her friend and IKO certified kitesurf instructor Tsiry Razafindrasata. 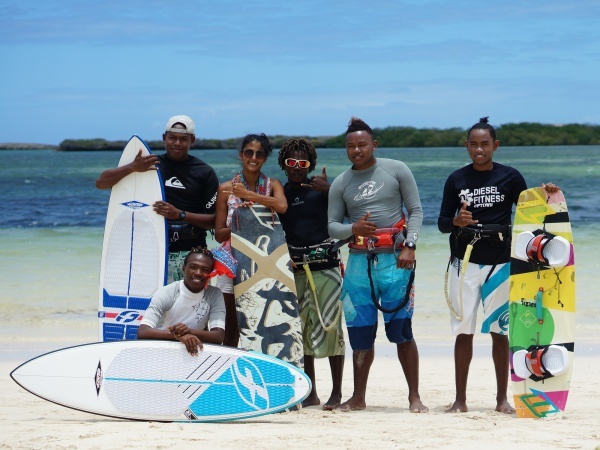 Together with their team of assistant kitesurfing monitors, Stéphane, Maba, Melin and trainee Pam, they organise kitesurfing for beginners and experienced kitesurfers alike. Kitesurf team with first time kitesurf student from La Réunion: Tsiry (IKO instructor), Audrey (student), Stéphane (assistant monitor), Maba (assistant monitor), Pam (trainee), Melin (assistant monitor). Lala getting ready for take off at Sakalava Bay. This page was last modified on 5 March 2017, at 18:58.